Last night the City Council hosted the public hearing on the 500 foot rule. A number of local business owners and residents with council members shared different perspectives speaking to the past, present and future impact of a repeal or no change at all. 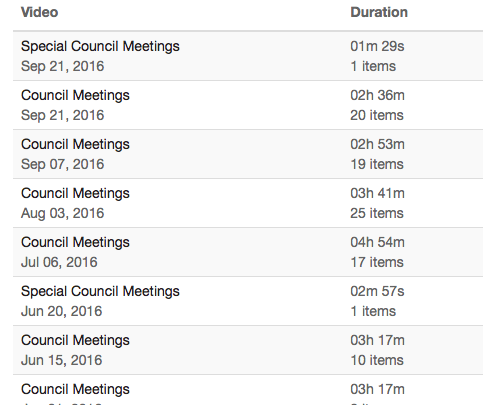 The new vendor the City of Hoboken is using doesn't appear to have the proceedings available for viewing yet. 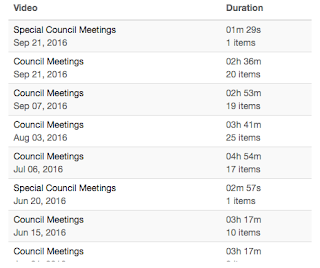 Live council telecasts are available at the linked City of Hoboken website. The public hearing should appear on the above linked page when available. Recent meetings are listed at the above link on the page. Update: Bad news. City Hall sources say the video of the public hearing Monday night will not be available due to some technical snafu. Who's in charge to ensure the preservation and transparency on behalf of the Hoboken public is not lost again? Of what MSV saw, various viewpoints among business people and Hoboken residents showed a truly diverse set of perspectives. The public are the losers on an issue of historical, current and future importance and this is a core issue of transparency and preservation of the public record.